Working at The Grooming Guide defiantly has its perks. Alongside the countless packages of clothes, shoes and bags we received on Friday, we were sent this beautiful pack from Miller Harris. 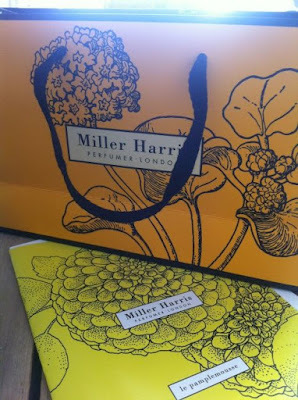 Miller Harris Le Pamplemousse (Grapefruit) is a limited edition fragrance to be released in April. The fragrance was inspired by the Grapefruit Groves of Marrakesh. Only 50ml bottles will be available alongside a felt travel pouch. Check The Grooming Guide for further information.